Collingswood Youth Wrestling is dedicated to enhancing and promoting the sport of wrestling by providing a clean, safe, learning environment for our wrestlers. We take great pride in watching our wrestlers grow as we help mold and build their character, instilling in them a sense of pride and positive values that come through hard work, dedication and discipline. Practice starts in First Tuesday after Thanksgiving. We'll practice two times a week. Tuesday & Thursday nights. 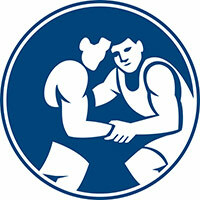 The wrestlers will be divided up based upon grade, years wrestled and skill level.